Two weeks ago, Ed Skrein departed the reboot of Hellboy to make room for a racially appropriate actor to fill his role. Skrein had been cast as Major Ben Daimio, a Japanese-American character, and after witnessing the poor reaction to his casting, he made the independent decision to vacate the role. “I accepted the role unaware that the character in the original comics was of mixed Asian heritage,” the actor wrote in a statement posted to Twitter. “There has been intense conversation and understandable upset since that announcement, and I must do what I feel is right.” Now, according to The Hollywood Reporter, Daniel Dae Kim is in talks to play Daimio. The Korean-American Kim’s potential casting is significant because he’s recently been at the center of a separate controversy related to inclusion in Hollywood after he and his Hawaii Five-0 co-star Grace Park left the CBS show due to salary disputes; they were reportedly looking for pay parity with their two white co-stars. At the time of their departures, the network insisted it “tried very hard to keep them with offers for large and significant salary increases,” while Kim graciously made clear they did not try hard enough. “I’m really grateful to CBS and everyone involved in the show for the opportunity,” he said in a statement. “That said, it’s possible to be grateful for the opportunity and have respect for your colleagues and still maintain a steadfast sense of your self-worth. And all good things come to an end.” When a tropical procedural door closes, a comic-book fantasy window opens. 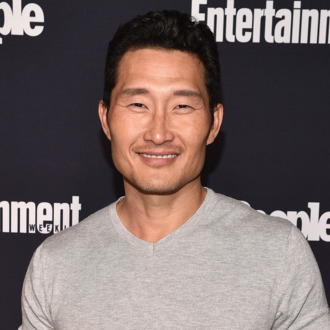 Update, September 13: Daniel Dae Kim officially confirmed his casting in a statement to The Hollywood Reporter, and praised Ed Skrein for turning down the part. “I applaud the producers and, in particular, Ed Skrein for championing the notion that Asian characters should be played by Asian or Asian American actors,” Kim told THR. “He could not have addressed the issue more elegantly and I remain indebted to him for his strength of character.” Kim said the movie started shooting Wednesday, and thanked fans for their support. Now really, Hollywood, was that so hard?